The Tamil competitions have been held for the last twenty years in New South Wales and 8 years in other states and territories of Australia and New Zealand. The Australian Society of Graduate Tamils had taken over this Herculean task from the 10th year. This competition is now extended to all States in Australia and New Zealand from 2006, as `Australasian Competitions'. The competition commences at the State Level. The top three candidates of each state are invited to participate at the National Level. Prizes and Certificates will be issued for the winners at both levels. The National Level competitions prizes comprise a number of gold medals as the 1st Prize and many more other items. This competition has helped to produce and identify many talented Tamil youths. TC brought them to spotlight in our community. Some of these youths now show their leadership skills to our wider community. The TC is the only competition, which is designed for Tamil youth to participate in State level and national level. Our aim is to encourage our younger generation to learn, write & talk our language and to live as Tamils in our adopted countries, which we call our `new home'. About Us (ASoGT) : The Australian Society of Graduate Tamils (ASoGT) was established in Sydney in 2002. The aim of this organisation is to bring Tamils from various Universities and different disciplines to engage in projects to enhance education in our home lands and propagate Tamil in our adopted countries. UNIFUND PROJECT (Since 1991): The `Unifund' project had been established by the Sydney University Tamil Society (SUTS) in 1991, following a request from former Vice Chancellor, Prof. Thurairajah. This was a project to help the disadvantaged university students by University Students in Sydney. 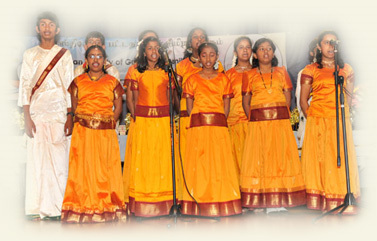 The Australian Society of Graduate Tamils (ASoGT) has taken over the project in 2002. This project bridges the University Tamil students in our homeland and the student in the Tamil Diaspora. The Unifund project now sponsors over 90 students in the University of Jaffna and the Eastern University. Most of these students were released from Internally displaced People (IDP) Camps since the end of Vanni War in May 2009. To know more about the Unifund project and / or sponsor a student, please visit www.theunifundproject.org. TAMIL COMPETITIONS (Since 1994): The Tamil competitions have been held for the last fifteen years in New South Wales and 10 years Australian Capital Territory States. The Australian Society of Graduate Tamils had taken over this Herculean task from the 10th year. This competition is now extended to all States in Australia and New Zealand from 2006, as `Australasian Competitions'. You may visit www.tamilcompetition.org for further information.